Puckpool Park originally lay within the grounds of Puckpool House, a Swiss style cottage orné built in 1822. The estate was purchased by the War Department in the mid 1861 in order to build a Battery (HMS Medina). 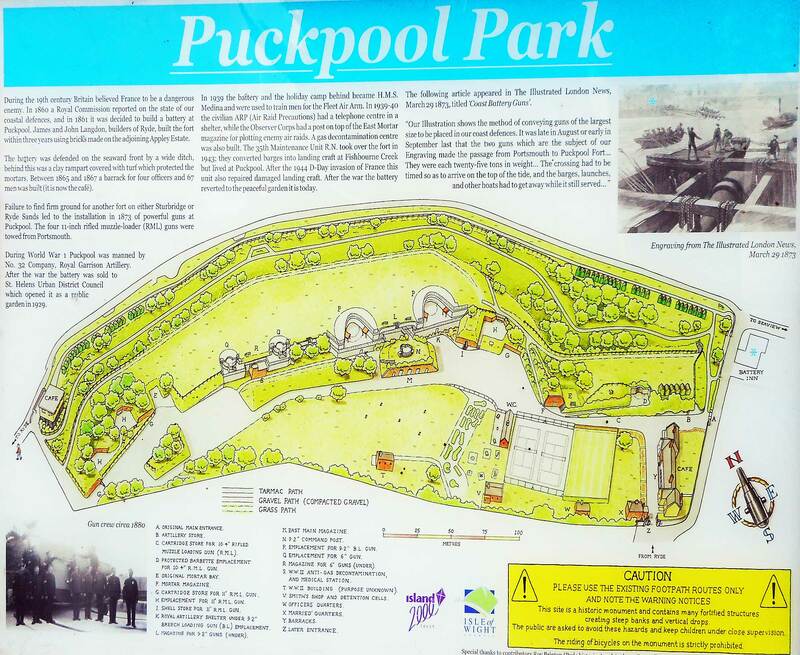 Later, the site was split between the Battery, which became a public park in the late 1920s after being purchased by St Helens Urban District Council, and the house and grounds, which became Warners Puckpool Holiday Camp in 1939.